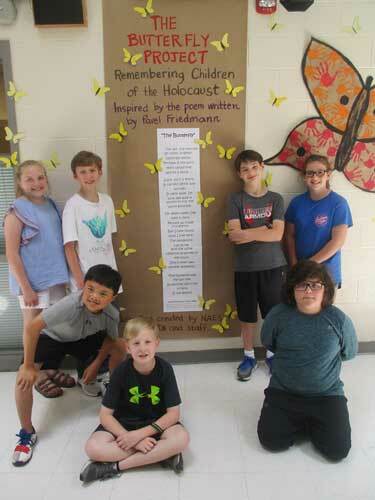 Students at New Albany Elementary School participated in the Butterfly Project making approximately 1,500 butterflies that were displayed across the school representing the 1.5 million Jewish children that perished during the Holocaust. The Butterfly Project was inspired by the poem, “The Butterfly,” written by 12 year old Pavel Friedmann. Friedmann was born on January 7, 1921 in Prague and deported to Terezin Concentration Camp on April 26, 1942. He died in Auschwitz on September 29, 1944. Pictured by the poem, “The Butterfly,” which inspired the project are 5th grade EXCEL students (standing – left to right) Lauren Hobson, Anderson Crews, Mason Keener, and Brooke Johnson; (sitting – left to right) Mac Blackburn, Owen Richey, and George Murff. Students in grades 2nd & 3rd Grade at New Albany Elementary School had the opportunity to participate in a RAT (Reject All Tobacco) Coloring Contest as part of their Health Rotation classes. The coloring contest and other tobacco-free activities are part of the Reject All Tobacco (RAT) program. 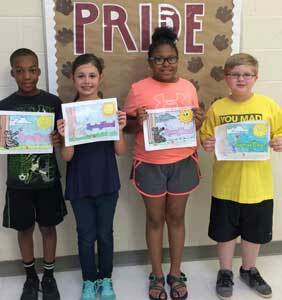 Pictured l-r are coloring contest winners: Kameron Carruthers, 2nd Grade 1st Place Winner; Adeline Bailey, 2nd Grade 2nd Place Winner; Savanna Trice, 3rd Grade 1st Place Winner; and Aiden Miles, 3rd Grade 2nd Place Winner. The coloring contest was coordinated by Health Rotation Assistant Teacher Carolyn Montgomery. 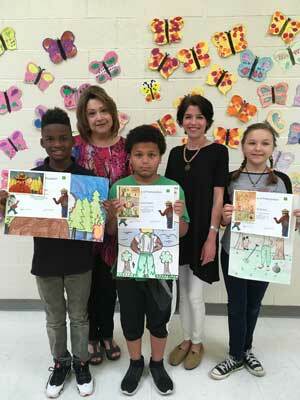 Three New Albany Elementary School students are winners in the state level Woodsy Owl and Smokey Bear Contest. The contest was sponsored by the New Albany Garden Club. Pictured l-r: Donovan Pullman; Retta Hardy, New Albany Garden Club; Lorenzo Ingram; Emily Murff, NAES Art Rotation Teacher; and Allie Bullock.